I don't buy half as many magazines as I used to but when I do I always find something to inspire my nail art. Last time I was flicking through Grazia I came across these fun shoes by Sophia Webster. I was instantly attracted to the cute cloud print. 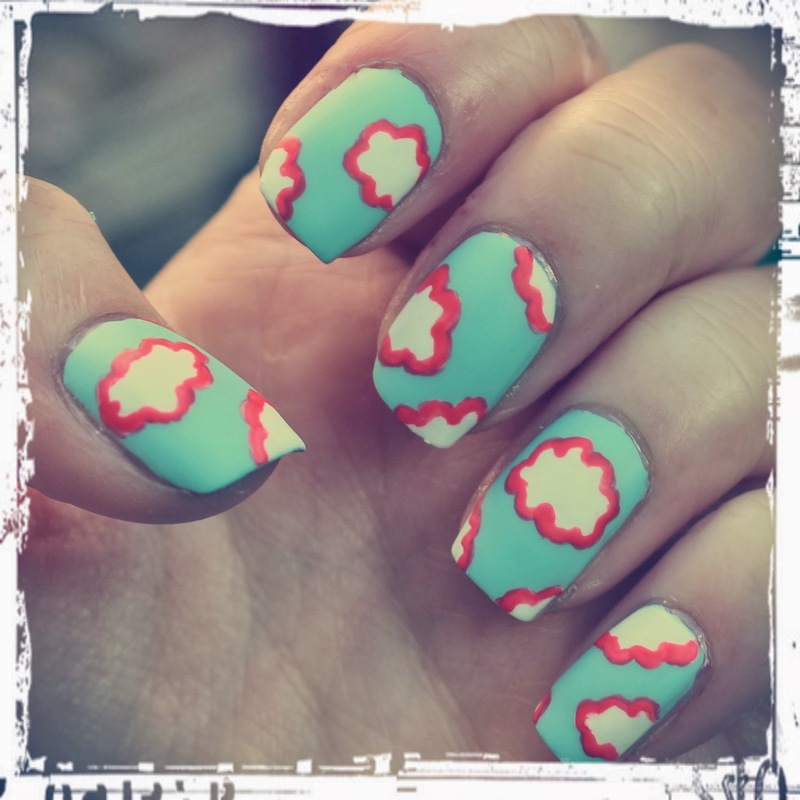 The coral outline makes it a little bit different to the usual white and blue cloud prints. For this look I used one of my favourite blue shades - Nails Inc's Portobello Road - as the base. I used a white nail art pen for the clouds and a fine brush dipped in Barry M's Coral for the outline. I topped it all off with Rimmel's Matte Finish top coat as I am still in love with matte nails. I was a bit disappointed with how the coral outline turned out as it's a bit patchy. This could probably have been helped if my brush wasn't starting to fray and also if I was a bit more patient to go over with another coat. I think the greatest help though would be if Barry M made nail art pens in every colour!